Dr. José García-Tirado received his PhD in 2014 from the Department of Process and Energy, Universidad Nacional de Colombia. In 2014, he joined the Metropolitan Institute of Technology (ITM) in Medellin, Colombia as Assistant Professor and head of the research group Quality, Metrology, and Production. At the end of 2017, Dr. García- Tirado joined the Center for Diabetes Technology (CDT) as Research Associate. His research interests include systems identification, estimation theory, receding-horizon control and estimation, and modeling of the glucose homeostasis. In his current work, Dr. García-Tirado is mainly devoted on the individualization of behavioral patterns (eating and exercise patterns) from CGM, insulin pump, and activity tracker data and its use in advanced control strategies to improve the artificial pancreas technology. 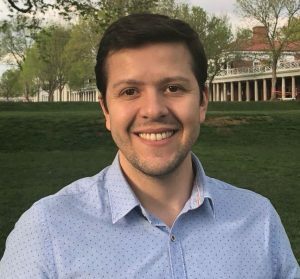 In his spare time, Dr. García-Tirado enjoys hiking, listening to the salsa music, watching South American and European football games, watching movies, and traveling.